Why is the author bio such a dreaded evil? After all, what is it but a summary—a resume, of sorts—to be read by a potential employer—either an agent or editor—or a potential reader. Surely we know all there is to know about ourselves, so it can’t be that hard. That’s where the assumptions hit a solid, unforgiving wall. We know ourselves so well that I believe this is part of the problem. We want to tell all. To cram in all our accolades and wonderful, ‘interesting’ facts into what should be a very concise piece of writing. One very important fact to remember when constructing an author bio is that this is all about the writing. It’s not about your five kids, three dogs, two parrots and the partridge in the pear tree. Your sole purpose of writing a bio should be to strike up interest and to provide some very pertinent, very succinct information. Yes, we can make our bios—and hence ourselves—appear more personable and relatable by including those kids, pets and partridges, but ultimately the focus is writing. That means relating any information we include back to our writing or writing style. Your bio is often one of the first points of contact you’ll have with prospective fans and/or employers. A great bio may not make you an award-winning author, but it will attract positive attention and provide a positive impression when someone finds you for the first time. This means you want these couple of paragraphs to hook the reader and stand out in their mind. But how do we do that when we don’t have a mile-long list of accolades and awards to cite as validation? Find a point of difference. I’ve talked about this before in reference to our stories and our hook or premise. Now, we want to do the same while selling ourselves. What makes us stand out from the crowd? Or, more precisely, what makes our stories stand out from all others? After all, while selling ourselves, we’re selling our stories. It’s a package deal. Think about this point, then make a list. What do you have that others don’t? And how can you show this in a succinct but intriguing and wholly engaging manner? How can you hook your reader, in the same way you hook them with your story? Let’s take the first paragraph of my bio, for instance. Michelle Somers is a bookworm from way back. An ex-Kiwi who now calls Australia home, she’s a professional killer and matchmaker, a storyteller and a romantic. Words are her power and her passion. Her heroes and heroines always get their happy ever after, but she’ll put them through one hell of a journey to get there. Maybe these points don’t make me unique in my genre, but the presentation of them makes me sound unique. It’s snappy and fun, and hopefully it intrigues the reader to want to know more about me, and ultimately, my stories. This is the bio I use in my books and any form of marketing. The bio I use for editors and agents is quite different. In my opinion, we should all have more than one bio. The bio we send out to an agent or editor shouldn’t be the same as the bio we put into our books. The audiences are very different, with different expectations and needs, and a ‘one bio fits all’ scenario just doesn’t work. Nut out the bare bones of our bios then package them up differently, taking into consideration our audience. What is your point of difference? What is special about you—and hence, your writing? What education, accreditations or accolades do you have? How can the reader find you/find more of your books? That’s pretty much it. Sound easy? But let’s take this one step further. For the purposes of this blog, I’d like to focus primarily on bios for promotional purposes. These are the bios which seem to confound authors the most. We’ve just covered content, but what will set your bio apart from others? The same thing that sets your story apart from others. Your voice. Give the reader a taste of who you are through your bio. Are you funny, quirky, serious, emotional, or something completely different? How do these qualities relate to your stories? How do they relate to your readers? Identify your purpose—who will be reading your bio? Construct it accordingly. Tense—as a general rule, bios should be in third person. That said, if you’re including a bio in a query letter to an editor or agent, use first person. Identification—start the bio with your full, professional name or title. Keep it brief—200-300 words max. Find your hook—what will appeal to and hook your audience? Is it your award-winning notoriety? Your quirky sense of humour? A lifestyle that transcends into your stories? Or is it something else? What’s your angle?—do you have a POD? Something that makes you stand out from other authors in and outside your genre? Stick to the point—don’t crowd your paragraphs with preamble and pointless information. Who are you?—make sure your bio gives the reader a true sense of who you are and how this relates to your writing. Endorsement—do you have a great quote about you by someone that matters in the industry? If so, consider using it as your hook or as validation. Contact details—have you given your audience enough information to find you and your books? Let’s look at some examples and see how you can cover these elements in different ways, across different authors and genres. I’m a Scot, living in New Zealand and married to a Dutch man. I write contemporary romance with a humorous bent – this is mainly due to the fact I have an odd sense of humour and can’t keep it out of anything I do! If I wasn’t a writer, I’d like to be Buffy the Vampire Slayer, or Indiana Jones. Unfortunately, both these roles have already been filled. Which may be a good thing as I have no fighting skills, wouldn’t know a precious relic if it hit me in the face and have an aversion to blood. When I’m not living in my head, I’m a mother to two kids, one pet sheep, one dog, two cats, three alpacas and an escape-artist chicken. Any thoughts? I love Janet’s books and her quirky, off-beat sense of humour. However, if I read this bio with no idea of her stories, I’d be immediately hooked. First line I’m smiling, second I’m chuckling, third I’m all-out laughing. Knowing that Janet writes romantic comedy, I’d be pressing ‘buy now’ without a second thought. Award-winning author Christie Craig grew up in Alabama, where she caught lightning bugs, ran barefoot, and regularly rescued potential princes, in the form of bullfrogs, from her brothers. Today, she’s still fascinated with lightning bugs, mostly wears shoes, but has turned her focus to rescuing mammals and hasn’t kissed a frog in years. She now lives in Texas with her four rescued cats, one dog—who has a bad habit of eating furniture, a son, and a prince of a husband who swears he’s not, and never was, a frog. If Christie isn’t writing, she’s reading, sipping wine, or just enjoying laughter with her friends and family. 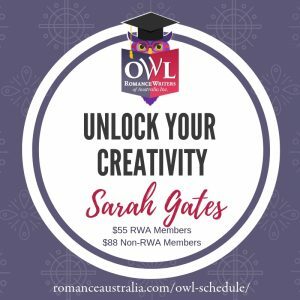 As a freelance writer, Christie has over 3,000 national credits, as well as three works of non-fiction, including the humorous self-help/relationship book, Wild, Wicked & Wanton: 101 Ways to Love Like You’re in a Romance Novel. As with Janet’s above example, Christie’s bio reflects her writing. I can hear her voice so clearly here. And I must admit that I love the fact she hasn’t opened with her accolades—she’s opened with something fun and relatable and I am hooked to read on, the same as I am when I read her stories. Helene Young lives aboard a catamaran moored near the Great Barrier Reef in the Coral Sea. She shares her sailing adventures with her husband and their dog, Zeus. Her work as a senior captain with a major regional airline takes her all over Australia and she draws inspiration for her stories from the communities she visits. She won the Romance Writers of Australia (RWA) Romantic Book of the Year Award in 2011 and 2012. She was also voted most popular romantic suspense author by the Romance Readers of Australia (ARRA) in 2010 and 2011, and shortlisted for the same award in 2012. Helene lives a unique lifestyle, exploring the waters around Australia and beyond. Her lifestyle, as well as her experience as a pilot, feature heavily in her books, so these are great hooks to use in her bio. Again, she hasn’t opened with her accolades. Instead, she’s used her lifestyle, that point of difference, to hook her readers. Eden Summers is a best-selling author of contemporary romance with a side of sizzle and sarcasm. She lives in Australia with a young family who are well aware she’s circling the drain of insanity. Eden can’t resist alpha dominance, dark features and sarcasm in her fictional heroes and loves a strong heroine who knows when to bite her tongue but also serves retribution with a feminine smile on her face. This is so Eden. And it’s so her books. She tells you exactly what you’ll get if you pick up an Eden Summers story, and that’s exactly what we want to know when we read an author’s bio. Subtext: related your bio to your writing. Always. Remember, it’s all about the writing. Just bear in mind, if you are a NYT best-selling author, have sold over a million copies of your books or have had your stories adapted into movies or a TV series, then these selling points override pretty much all my comments above. You won’t need to be funny or engaging or intriguing to sell your stories—your fame will sell them for you. That said, it doesn’t hurt for you to do both . . .
RACHAEL JOHNS, an English teacher by trade and a mum 24/7, is the bestselling ABIA-winning author of The Patterson Girls and a number of other romance and women’s fiction books including The Art of Keeping Secrets and The Greatest Gift. She is currently Australia’s leading writer of contemporary relationship stories around women’s issues, a genre she has coined ‘life-lit’. Rachael lives in the Perth hills with her hyperactive husband, three mostly-gorgeous heroes-in-training and a very badly behaved dog. She rarely sleeps and never irons. I love this balance. We get a little of Rachael and a little on her award-winning accolades. And she finishes on a hook that so many of us can relate to. She’s relatable, real and if I hadn’t already, I’d want to go out and read all of her books! So, what if we’re not yet published? Do we still need a rip-roaring bio? You’re a writer, whether you’re published or not. And you’re establishing a presence which will transcend through to authordom. After all, if you’re planning on publishing, you’ll need a platform. That includes a website, which will definitely need a bio. Here’s a fab example of a soon-to-be-published author, ready to promote herself and her stories. Lauren Harbor is a country girl at heart. Raised on a small property surrounded by animals, it’s no surprise she writes small town romance with lots of love for creatures great and small. Having failed fabulously at baking, painting and playing guitar, this bookworm finally found her creative outlet in writing strong, quirky heroines, and tough, handsome heroes with gooey animal-loving centers. I love this bio. It’s simple, straightforward and it perfectly reflects Lauren and her stories (which happen to be awesome, by the way). What’s the message here? No matter what stage you’re at in your writing journey, you need a bio. Yes, you might find it will develop and deepen as your journey transcends, but start somewhere. And perhaps by doing so—by considering what makes you and your writing special—you’ll make sure to highlight and develop this as you write your stories, and make them special too. So, in summary . . . Your voice—this is the unique way that you, and only you, write. Your genre—match tone to genre if possible, and definitely relate the content of your bio to your chosen genre. Your point of difference—what’s that something special which distinguishes you from other authors in your genre? I hope I’ve given you food for thought when crafting a bio which stands out and separates you from the crowd. Firstly, thank you all for coming back this month. I really appreciate every one of you reading, commenting and sharing my posts. Once again, I’m offering one lucky commenter a half hour skype session to discuss anything writing related. It could be your query, your synopsis or 300 words from your current work in progress. Yes, you heard right. 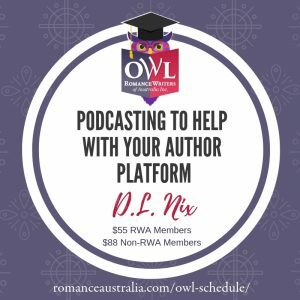 We get to chat, face-to-face—or computer screen to computer screen—and chat about whatever it is about your writing you’d like to discuss. To enter the draw, please comment below and share the most surprising or useful thing you’ve learned since reading my Simply Writing blogs. Or perhaps you can pinpoint exactly what you’ll incorporate into your writer’s bio after reading this post. If you’d like extra chances to win, share links to this blog on any or all social media sites. Tag me so I know you’ve shared, and the more shares, the more times I’ll place your name in the draw. Thanks so much for stopping by. Have a fabulous month, and I’ll see you all again in May. She lives in Melbourne, Australia, with her real life hero and three little heroes in the making, and Emmie, a furry black feline who thinks she’s a dog. Her debut novel, Lethal in Love won the Romance Writers of Australia’s 2016 Romantic Book of the Year (RuBY) and the 2013 Valerie Parv Award. The second in her Melbourne Murder series, Murder Most Unusual was released in February 2017. In between books, she runs workshops – both face-to-face and online – for writers wanting to hone their craft. The first book in her Simply Writing Series, Simply Synopsis, is changing the way writers craft this vital, yet perplexing, writing tool. And through her Simply Writing series of blogs, she hopes to simplify so much more. You can find out all about Michelle, her adventures and her books at her website or follow her on Facebook, Twitter, Pinterest or Instagram. Hey Michelle, I think the point you make about ‘who is going to read this’ is vital. Editors and agents want to know you have the writing chops/ credentials, whereas readers want to get an insight into you as an individual (while it still being about the writing). I get it now! So glad you found the post helpful (and it’s inspired you to take another look at your bio). Good luck with it! Thanks, this was perfect timing. Off to give it a go with these helpful tips and examples. Best of luck with the bio. Thanks for stopping by and commenting. It’s always good to hear if my posts are making a difference. Best of luck in the draw!!! Wonderful post as always, Michelle. Some great tips there about promoting yourself and your voice as an author. It can be hard to sell yourself as a yet to be published author, so I’m pleased you like my bio! Yes, it’s hard to sell yourself as a yet to be published author, but you’re well on the way. And a great, engaging bio is so essential. I’m so glad the timing is good and you’re able to use my post to strengthen your bio. Best of luck with it! Thanks so much for stopping by each month and commenting. Best of luck with the draw!